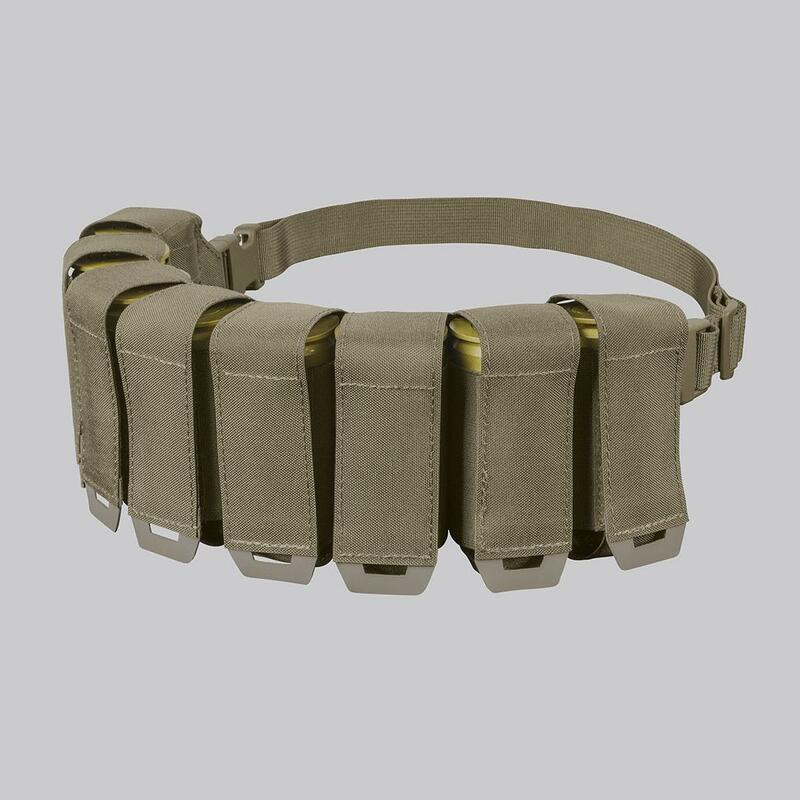 This lightweight 8-round bandoleer fits most HE or similar 40 mm LV grenades. Made of laser-cut laminate. 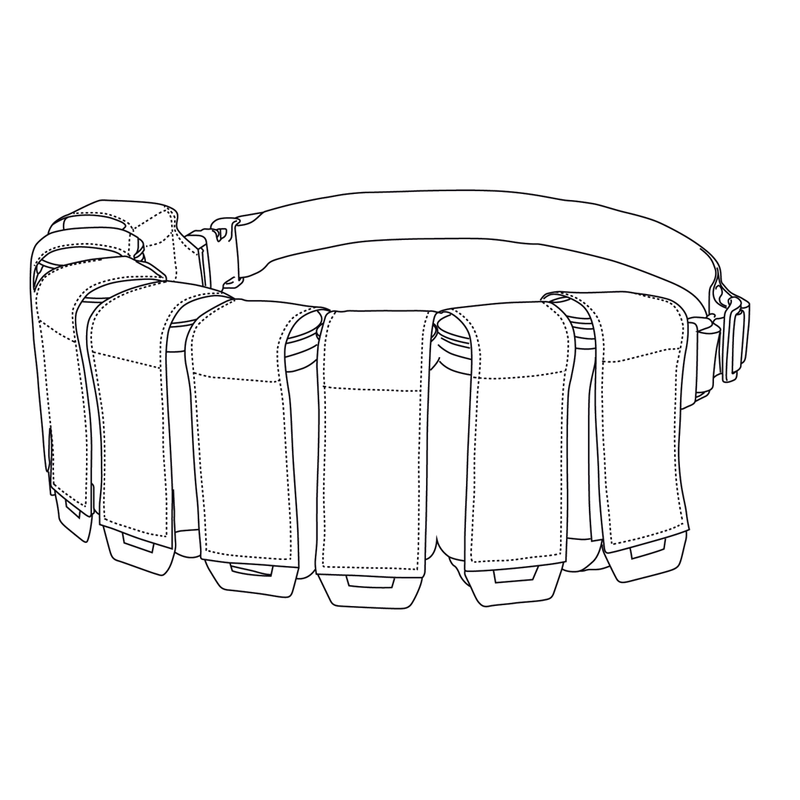 It can be carried on its own carrying strap, or attached to front portion of the MOSQUITO modular belt sleeve. 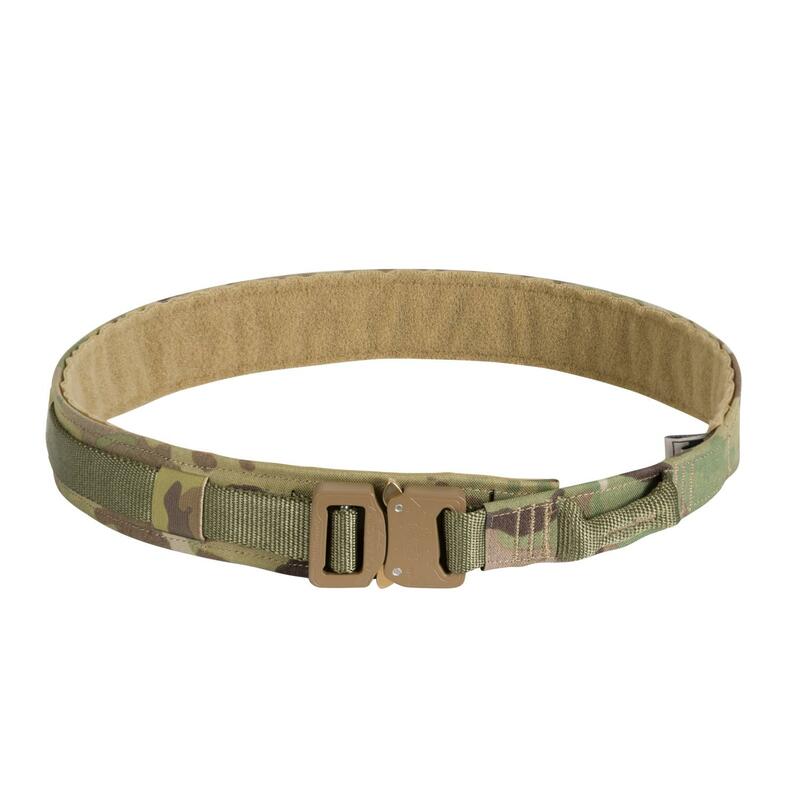 This lightweight 8-round bandoleer fits most HE or similar 40 mm LV grenades. 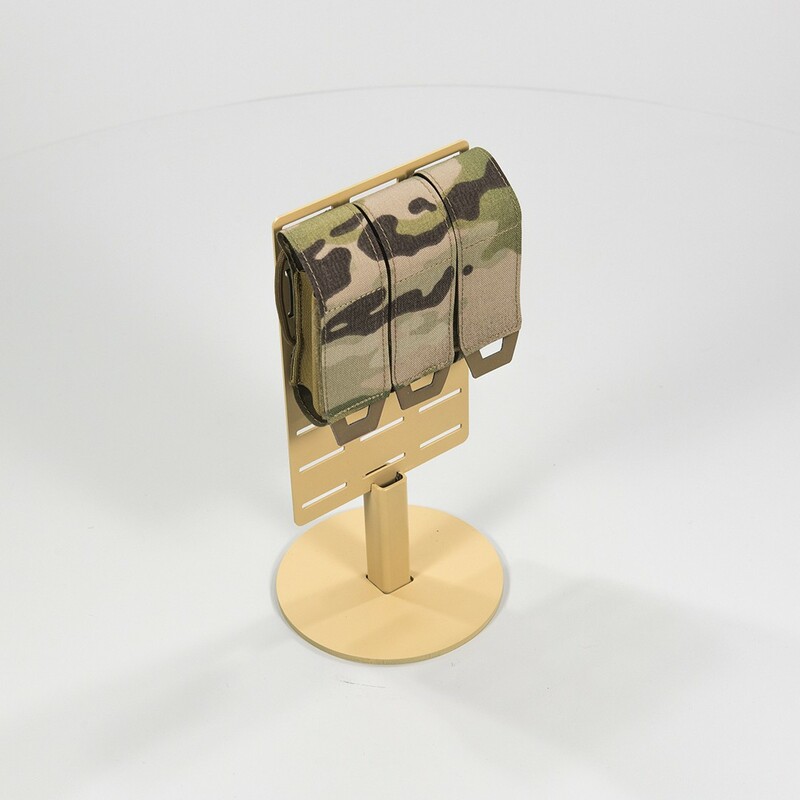 Made of laser-cut laminate. 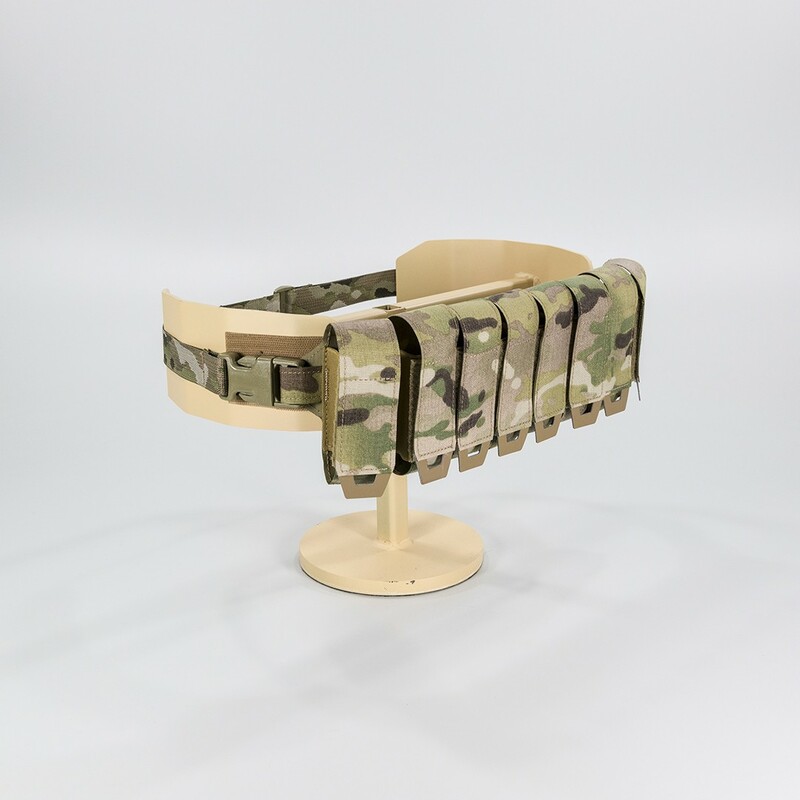 It can be carried on its own carrying strap, or attached to front portion of the MOSQUITO modular belt sleeve with T-ring type attachments and side release buckles. Superb bit of kit exceptionally made, great fit and consistent. Perfect!! 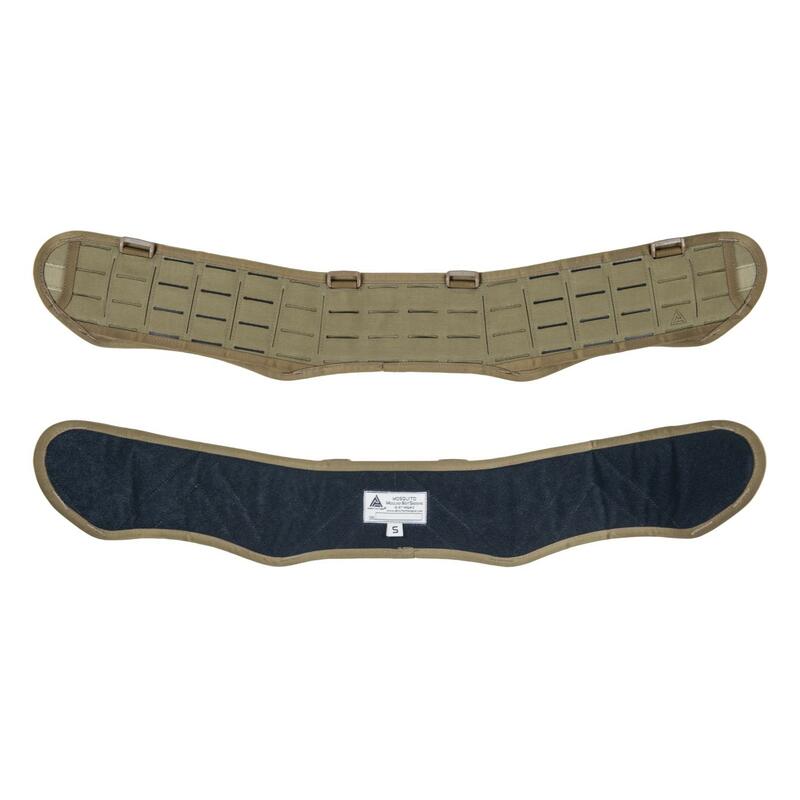 Nice touch with the added molle catches, well thought out product.